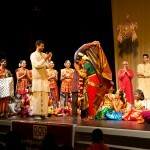 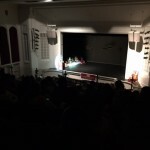 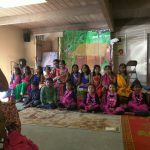 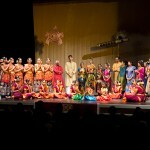 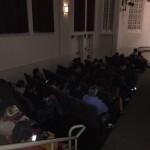 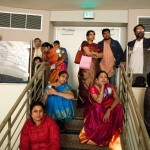 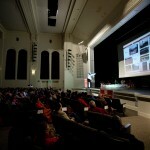 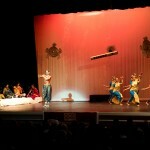 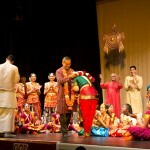 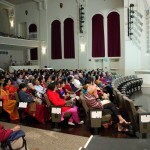 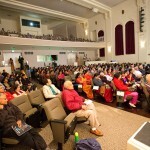 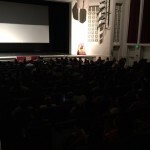 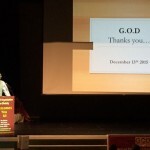 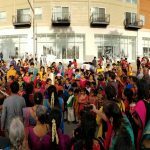 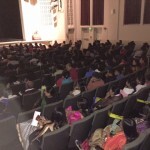 Global Organization For Divinity, presented a divine, bhakti-filled fundraiser event, “Krishnanubhavam, a music dance ensemble” for the support of important social and spiritual causes through Sri Sandeepani Gurukulam Trust on Sunday, 13th December 2015 at the CET-SOTO theater in San Jose California.Around 575 people attended this event and 38 artists participated in this event. 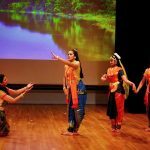 A masterpiece gracefully depicting Krishna- divine love personified, ‘Krishnanubhavam’ also represents Induji’s unflinching dedication and the hard work of her entire team at Nrithyollasa Dance Academy. 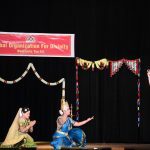 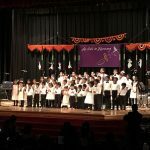 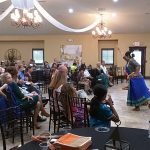 Mrs. Indumathy Ganesh, Ms.Akshaya Ganesh and students of Nrithyollasa Dance Academy virtually transported the audience to Vrindavan, where Lord Krishna was the breath, life and soul of everyone. 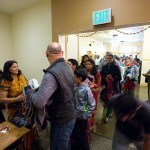 They beautifully brought out the precept that Lord Krishna through his whimsical and mischievous exploits helps one realize a transcendental experience and that many of his leelas, though seemingly playful, imparted unique, unconditional love for everyone and everything in this universe. 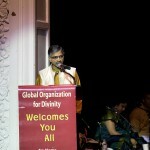 During the event Sri Ramanujam ji, director of Sri Sandeepani Gurukula Trust, also spoke on behalf of the organization and showcased their divine and humane services in India. 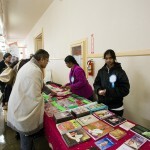 About 20 local businesses supported this wonderful cause either through donations or through souvenir advertisements. 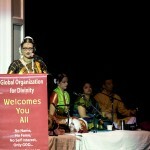 Global Organization for Divinity expresses its heartfelt gratitude for their generous support.